When you look at a real estate listing on a home for sale it always specifies the number of bedrooms in the home. Not every spare room however constitutes a bedroom from a legal perspective. A bedroom is defined by a number of unique features. The number of bedrooms in a home is important to know for a variety of reasons. First, it gives you a sense of the size of the home and if can support your family size. Second, it gives you an idea of how big the septic system is on a home that has a private septic system. Third it tells you which rooms meet safety code for bedrooms. And finally, it gives you a sense of market value for the home and the expected property tax on the home. 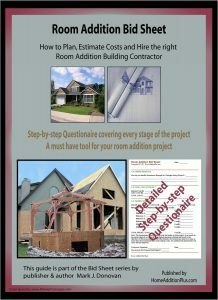 Whether a home is being newly constructed or a home is being remodeled to include a new bedroom, there are building codes in place that must be followed to properly include a bedroom. When selling a home a seller often tries to inflate the number of bedrooms in the home, as this can increase the value of the home. Fortunately due to the legal definition of a bedroom, real estate listing agents are forced to list only the number of legal bedrooms in a home. Building code requirements for the definition of a bedroom varies from state to state, however there are some fundamental features in a room that help to easily classify a room as a bedroom or not. The building codes for bedrooms are written to mainly protect the safety of the home’s occupants. As a result, fire and egress safety are the main issues in defining a bedroom and code requirements. The International Code Council (ICC) is often the source for building code requirements followed by federal, state and local municipalities for residential buildings. The ICC includes building code recommendations for rooms being habitable as sleeping units. Specific features that the ICC requires for a bedroom include a door, and a window of a specific size to allow two forms of egress from the room. If a window of specific dimensions is not feasible then a second door is required. The specific overall window dimension must have a minimum opening area of 5.7 square feet, a minimum opening width of 20 inches, and an opening height of 24 inches. In addition, the base of the window can be no higher off of the floor of the room than 44 inches and no lower than 24 inches off of the floor. Finally the window must have operable opening hardware that does not require keys or tools to open. Each bedroom must be protected by an arc-fault circuit interrupter (AFCI) to prevent electrical fires associated with faulty electrical wiring. Each bedroom must have a smoke detector in it, as well as one external to it that is nearby, e.g. a hallway adjacent to the bedroom. Most local building codes and ethical real estate brokers require a room to have a closet for it to be classified as a bedroom. Again, the concern is safety. Without a formal closet there is a risk that the room could be cluttered such that it could be difficult to egress the room in the event of an emergency. 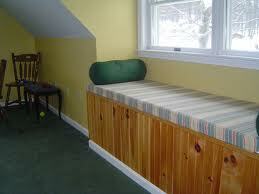 If a home is on a private septic system the septic design is based upon the number of bedrooms in the home. To legally add an additional bedroom to a home requires the modification of the septic design and septic system. If the septic system is not legally modified then even if all the other building code requirements for the bedroom were met the room could not be legally classified as a bedroom. Consequently a real estate agent will only list the number of bedrooms in the home based upon what’s stated in the septic design. So when buying a home make sure that the number of bedrooms listed in it are both legal and safe. By doing so, you’ll protect both your family and your home’s market value down the road.